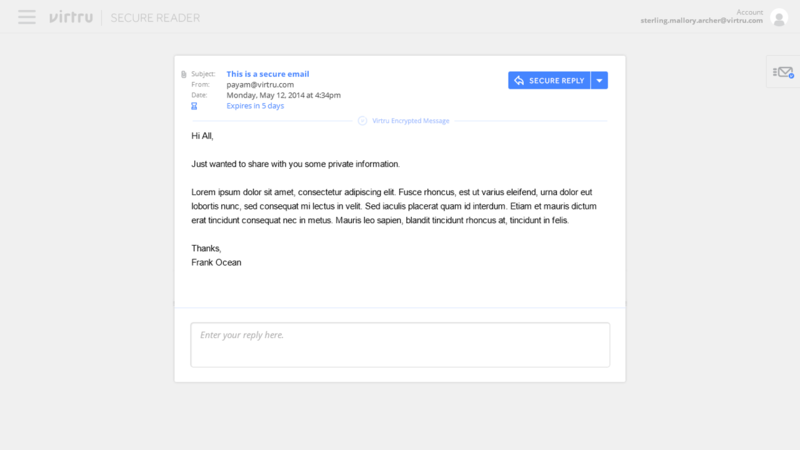 For Encrypted Emails, the Recipient UX is Key. The key to secure communication is the recipient experience. While a sender might be very motivated to jump through hoops to secure their message, simple barriers can discourage or prevent a recipient from consuming that message. At that point, communication is not achieved, time has been wasted, and both parties are frustrated. With enough frustration, Virtru ceases to provide value and loses a customer. 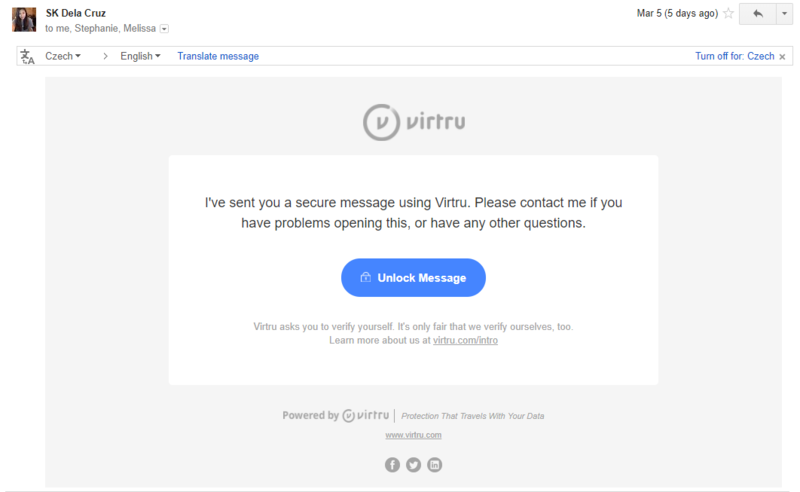 Results:An ongoing journey with continued improvements that has allowed Virtru to become a viable email encryption solution for many organizations. 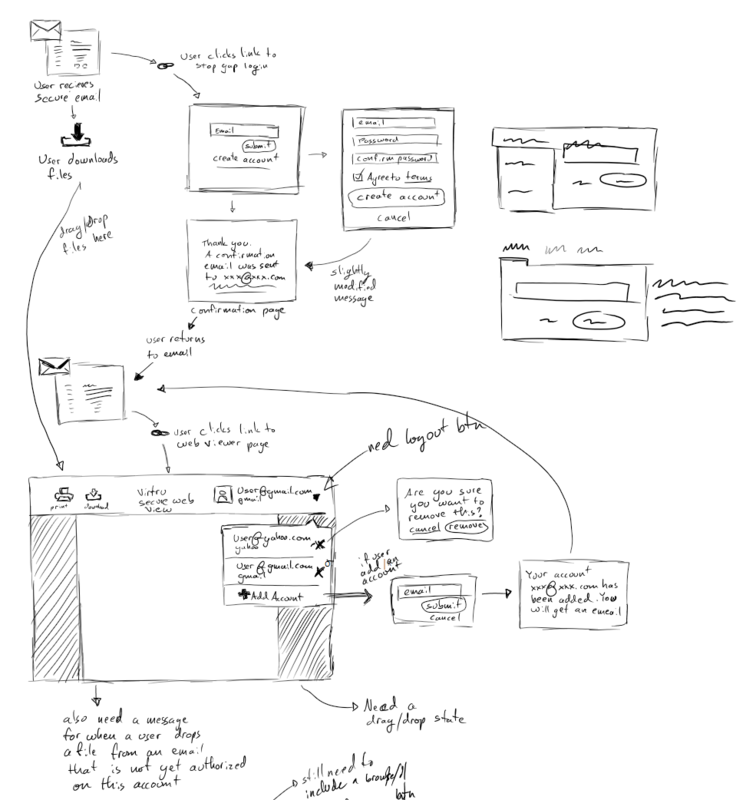 The recipient UX went through many iterations throughout my tenure at Virtru. I learned a lot of valuable lessons through those iterations. Here are a few of the major iterations, how I approached them, and what I learned. The goal of our first iteration was to make the install and setup process as easy as possible. This goal was based on the difficulty of setting up and using PGP, the long-time standard for email encryption. PGP has been around since the late 90’s, yet its relatively unknown. Our theory was that if you could make this easier, more folks would use it. Naively, we made our initial target audience Everyone. At the time, we had recently entered a post-Snowden world. Everyone we had spoken to was very excited about the prospect of an easy to use encryption service. Furthermore, we believed that it was everyone’s right to communicate privately in whatever medium they chose. We wanted to bring about societal change where everyone was able to do just that. Hence, our target audience = everyone. My first task was to smooth out the already built workflow. I set off to simplify certain processes and make information more consumable. 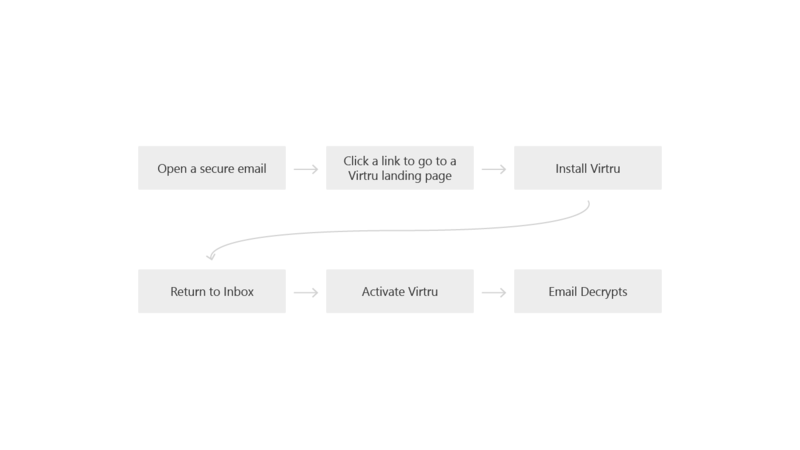 Initial workflow for recipients reading a secure email. 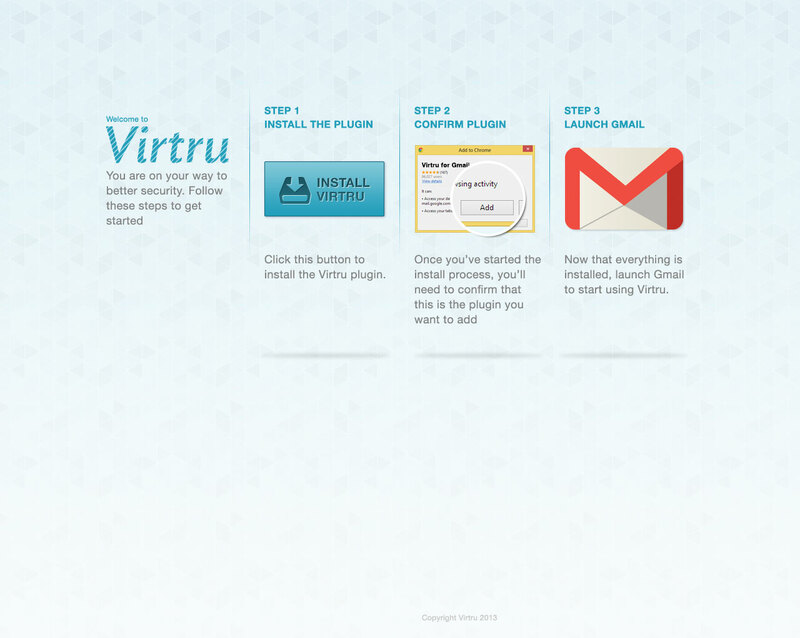 Initially, the landing page to install Virtru was a wall of text. I made it more consumable by adding in images and reducing the text as much as possible. 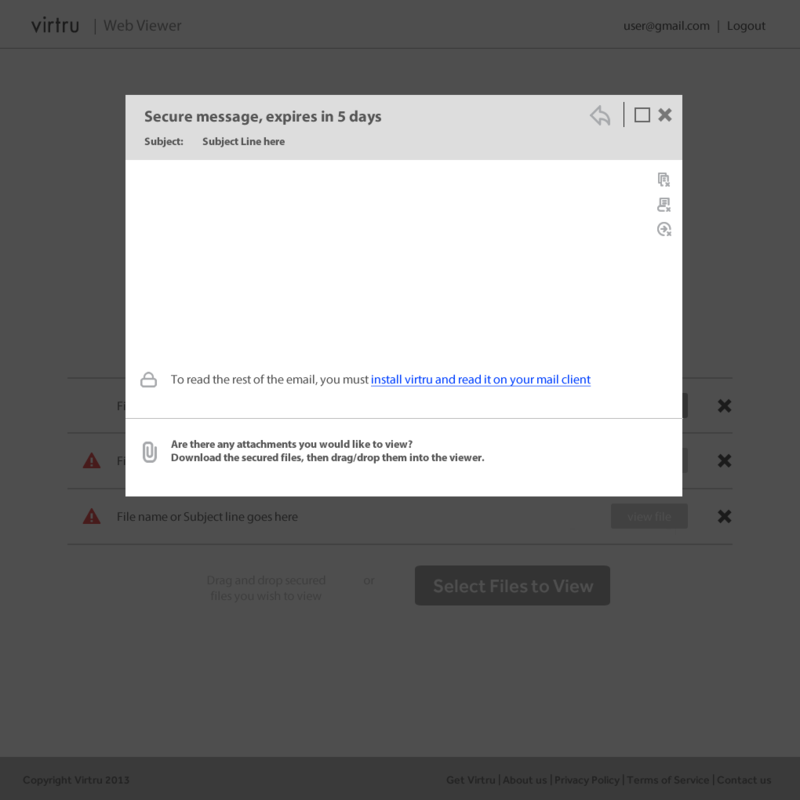 Once a recipient had installed Virtru, the secure email would decrypt directly in their inbox. Here's an early mockup of the initial experience. I put this in front of users at various points for feedback. The results were very interesting. On one hand, we did make it very easy for users to install and setup. Everything was just a simple click that users responded very well to. On the other hand, we found that most recipients did not want to install anything, no matter how easy/quick it was. So, while we succeeded in meeting our initial goal, we did not quite meet the recipient’s needs. Our next iteration had to allow the recipient to consume a secure message without installing Virtru. With our small team, we brainstormed/sketched potential solutions but had to contend with significant technical limitations and privacy concerns. Ultimately, we settled on a secure web portal that allowed recipients to consume a secure message without having to install anything. Once we settled on a solution, I would sketch out how the entire experience would feel, to ensure that we are wholistically considering the recipient experience. This particular solution was a bit hairy as it required creating an account as well as downloading and uploading a secure file. But, it did come with two significant issues that could hinder the recipient experience. These issues were an unavoidable by product of our technical limitations at the time and the privacy tenants we needed to preserve. The first issue was creating an account. Would a recipient, who did not elect to use Virtru, sign up for an account to use Virtru? The second issue involved the proposed encrypted attachment. Basically, in order to decrypt the secure message, each secure email would have an attachment that was a copy of the encrypted content. The recipient would then need to download that attachment THEN upload it back into the secure web portal, where it would be decrypted. Would users get lost in this process? To assess these concerns, we created small prototypes at various fidelity (from simple click throughs to functional components) and put it in front of users. The results were disappointing. Most recipients didn’t care to create an account. Furthermore, the attachment idea had too many steps where many users simply got lost or thought they downloaded a virus. But one interesting result was that context of the sender greatly impacted the recipients motivation to read a secure email. An email in a professional context generally saw more effort to read its content than an email in a personal context. 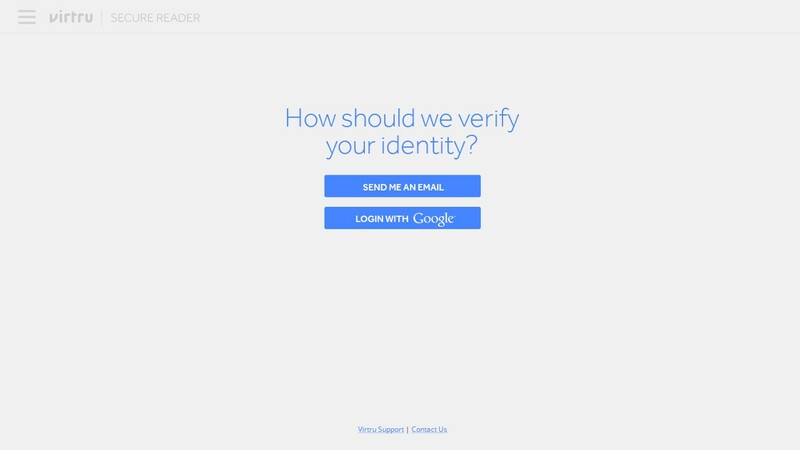 From the lessons learned in iteration 2, our next solution had to do a few things: 1) verify the identify of recipients without requiring an account creation 2) automatically load the secure content to the web portal without compromising security and privacy. Luckily, the engineering team had figured out a technical solution that allowed us to solve both of these issues. The new solution had significantly less steps than the original, reducing complexity and points where users could get lost. An early wireframe of what a recipient would see when viewing a secure email in the secure web portal. Once again, we set to validate our assumptions through a variety of lo-fi prototypes to working components put in front of users. At this point, our users were also much more targeted to individuals in professional settings within regulated industries. The results were a vast improvement from the last major iteration. Recipients had a significantly higher success rate in consuming a secure email. Furthermore, this iteration allowed Virtru to become a viable solution for many organizations, creating a path to grow from 5 guys in a basement, to 80 people with an office in DC. 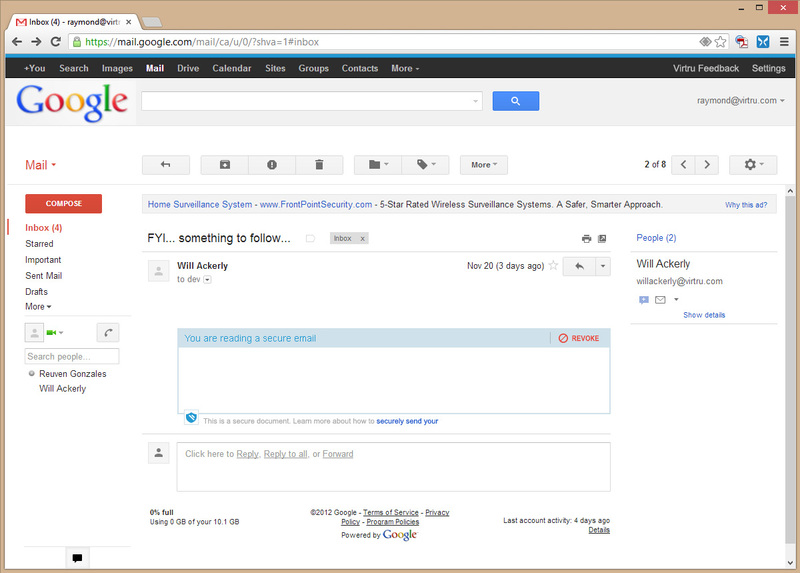 A recipient opens a secure email and finds this template. The recipient would follow the link, and land on a page asking them to verify their identity through a variety of methods. Finally, the the most ideal scenario, the recipient would be brought to their decrypted message. As mobile accounts for nearly one-third of all email consumption at the time, we also needed to consider a mobile/responsive experience. The recipient experience is still an ongoing project today, with a variety of potential solutions to explore based on a variety of qualitative data we gathered through user tests, interviews, observations, and quantitative data. For me, it was one of my first real product design experiences and I learned a lot through the years making iterative improvements.